Ep. 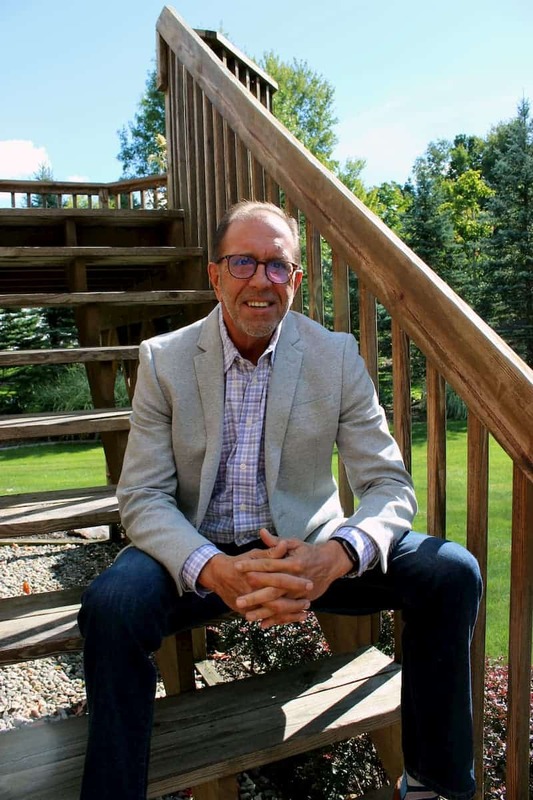 63 – Do I Have a Leaky Gut? The term “leaky gut” has become a popular buzzword phrase, but what most people don’t realize is that poor gut health may very well be underlying their mysterious health issues. 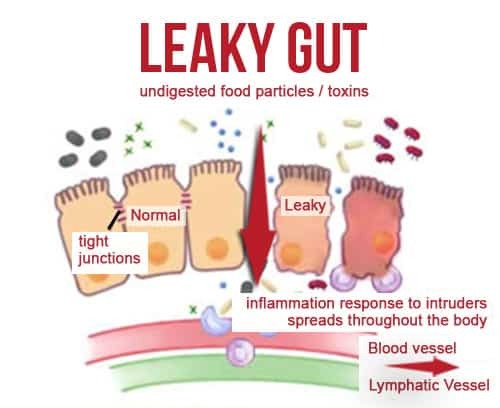 Scientifically speaking, a “leaky gut” is known as “intestinal permeability.” This means that our intestines are permeable and allow things through that they normally would keep out (like food or toxins). Simply put, your “gut” (a.k.a. intestinal tract) is a tube that makes up part of your digestive system. It’s not as simple as a hose or pipe; it’s an amazing tube made of live cells tightly bound together. Your gut helps your body absorb fluids and nutrients, digests your food, and houses billions of friendly gut microbes. It’s also selective to what it allows past its barrier. Your intestinal tract purposefully keeps some things from being absorbed, so they pass right on through to the other end to be eliminated as waste. You don’t want to absorb many harmful microbes or toxins into your body, right? It’s important to realize that up to 80 percent of the immune system is located within the gut wall, and the immune system’s first and foremost job is to produce inflammation in response to anything foreign that passes through the gut wall (like undigested food particles, toxins, bacteria, etc.). Absorption of fluids and nutrients happens when they’re allowed through this cellular tube into the circulation. And this is great… as long as what’s being absorbed are fluids and nutrients. The blood and lymph then carry the nutrients to your liver, and then around to the rest of your body; this is so that all your cells, all the way to your toenails, get the nutrition they need to be healthy and grow. The gut can become leaky if the cells get damaged, or if the bonds that hold the cells together get damaged. Leaky gut can be caused or worsened by a number of diet and lifestyle factors. Dietary factors like too much sugar or alcohol or even eating things that you’re intolerant to can all contribute to leaky gut. Lifestyle factors like stress, lack of sleep, infections, and some medications can also be culprits in this area. Sometimes, if the balance of gut microbes inside the gut is thrown off, this can also contribute to a leaky gut. Any contributing factors that alter the balance in your gut may cause our gut to become “permeable” or leak. At this point, incompletely digested nutrients, microbes (infectious or friendly), toxins, or waste products can more easily get into our bodies. As you can imagine, this is not a good thing. Because so much of your immune system is around your gut, the immune cells quickly recognize a “foreign invader” and start their response. This is normal and good if the gut is working properly and not allowing too many things to “leak” in. But when that happens too much, and the immune system starts responding, the notorious inflammation starts. Once the immune system starts responding it can look like allergies, food intolerances, and even autoimmune diseases. Because the first place affected is the gut, there are a number of symptoms right there. Things such as abdominal pain, bloating, gas, nausea, vomiting, heartburn, constipation, or diarrhea. Not to mention that if foods, even healthy foods, aren’t properly digested, their nutrients aren’t properly absorbed. Poor absorption can lead to lack of essential vitamins and minerals for the optimal health of every cell in your body. Some of the symptoms can also occur on the skin. 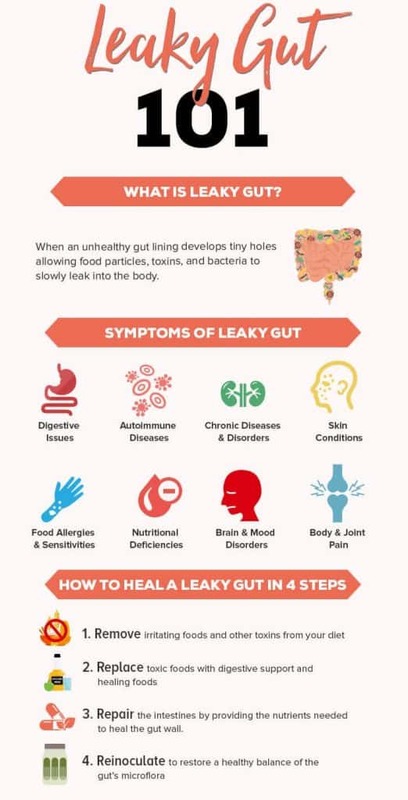 Acne, dry skin, itchiness, rashes, eczema, and hives can all be symptoms related to leaky gut. Even rosacea and psoriasis can be linked here due to their autoimmune component. It’s possible that even some neurological symptoms are linked with leaky gut. For example, brain fog, fatigue, headaches, inability to sleep, and general moodiness can also be related. Finally, a number of chronic inflammatory diseases are thought to be linked with a leaky gut. Things like Crohn’s, colitis, celiac disease, IBS, and MS.
What do you eat if you have a leaky gut? The general recommendation is to stop eating inflammatory foods and eat more gut-soothing foods. Incorporating a gut-soothing diet means cutting out grains, legumes, and dairy – and I’d suggest adding food additives, alcohol, and refined sugars to that list. In their place, add in more green leafy and cruciferous veggies. These are full of nutrients and contain fiber to help feed your friendly gut microbes. You also want to add more sources of vitamin D which can come from fish and egg yolks, and also the from the sun. Eat more probiotic foods like sauerkraut, dairy-free yogurt, and kombucha (fermented tea). Make sure you’re getting enough essential omega-3 fats found in seafood and seaweed. Finally, make sure you’re getting some coconut oil and bone broth. Coconut oil has special fats called MCTs (medium-chain triglycerides), and bone broth has essential amino acids. 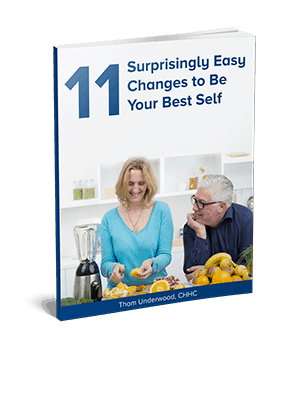 Do you want more to empower yourself through healthy living? Is your busy lifestyle an obstacle to your health? 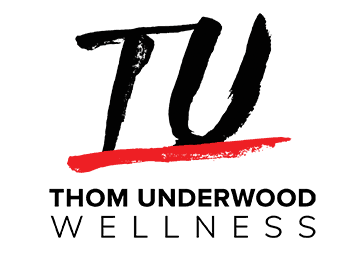 Join The Rebel Health Coach community for the support and knowledge you need for better performance, better business and a better you! Click here to join The Rebel Health Coach community now. Disclaimer: The activities and research discussed in these podcasts are suggestions only and are only advised to be undertaken following prior consultation with a health or medical professional. Fitness training, nutrition, and other physical pursuits should be tailored to the individual based upon an assessment of their personal needs.